Car Title Loans in Florida > resources > What Happens If You Do Not Pay Off Your Credit Card? What Happens If You Do Not Pay Off Your Credit Card? It is such a common sight these days that it barely warrants a mention in daily conversation. That is the sight of a credit card offer in the mail. This is something that practically everyone gets at some point or another. It is not even special to receive these offers, but that does not stop us all from feeling a little good about ourselves when we see that we have been offered a credit card. It makes us feel that we are in a special club of sorts. It is so easy to say that we are just going to pay off whatever we spend on the card right away, but that so rarely actually happens. We often let it slide a little, always saying that we are going to get to it very soon. Of course, that time never seems to come for some of us. As it turns out, the amount of debt held by Americans on credit cards is currently at an all-time high. A CNBC report stated that the amount of debt on credit cards held by Americans at the moment is around $1 trillion. That is trillion with a T. This makes the average amount per American family at a little over $8,000. The pace of growth for this type of debt has only continued to intensify. Americans just cannot get enough of their little plastic cards. Still, it is troubling to many to see just how much of that debt continues to be piled on the backs of all of us. It is unsustainable in the eyes of many, but that does not stop us. It is a good reason for many to ask what happens if they simply do not pay off those debts. Unfortunately, it is a position that all too many Americans find themselves in. It is entirely possible that some people will not take care of their credit card debt. It happens every day. It is something worth looking at. Too many people just view it as a personal failure and do not want to talk about it. That is not the best way to approach this though. The reality is, most would suggest that you try to grab this problem by the horns. 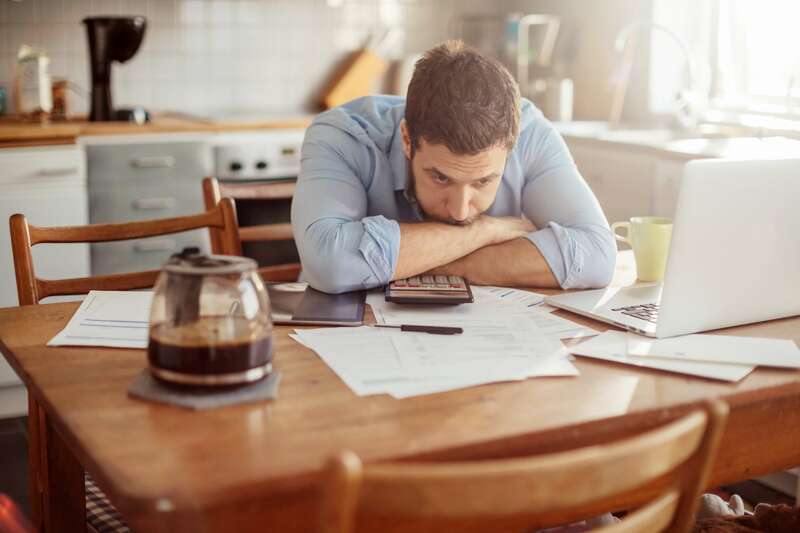 There are no easy solutions when it comes to managing your debt. You cannot just stick your head in the sand and hope that it goes away. That may seem like an appealing notion, but you will most likely just end up with worse problems on your hands if you attempt to do this. The credit card companies can find you and chase you down no matter where you go. Attempting to evade them will cause interest rates to grow on you, and your total pile of debt will just continue to grow. The annoying collection calls that you may face are not going to stop just because you don’t answer them. Debtors want to get their money, and they will continue to call until they have managed to get a hold of you. If you think that you are not going to be able to make a payment that you owe on one of your cards, you had better reach out to the company that issued the card and speak to them about how they may be able to help you. Believe it or not, these companies are often more than willing to work with you on these issues. They just want some assurance from you that you will actually pay up when you owe. They can make an arrangement with you to get these problems taken care of. Some of the companies will even be so grateful that you at least called them to handle the problem that they may waive late penalties. This is not a guarantee of course, and it is not something that they are required to do, but it is something that some companies will do for you. A lot of people are just embarrassed about missing their payments, and they do not do the right thing and reach out. This leads to worse problems for them, and more difficulty for the credit card companies as well. The longer you go without paying your bills, the worse things get for you. Your credit score can start to get impacted as little as 30 days late. This means that you want to tackle the situation as soon as you are able to. If you are not able to make that payment, and you do end up 30 days or more late, at least communicate with the card issuer. They can still help you. They are more likely to listen to you if you reach out to them first. There is still flexibility at this point, but things will get worse as time goes on. Those who get even farther behind can expect things such as lawsuits and bank levies to become a part of their life. There is just no getting around the fact that you do not want to mess with these types of things in your life. It is entirely possible, but you can do better than that by focusing on getting those payments made. When you contact your credit card company, you will want to explain your situation to them, and then try to set up something whereby you pay them on a set payment plan. Having a plan in motion like this means that you can have some confidence that the credit card company will at least be working with you. They will be able to see that you are making a legitimate attempt to pay your debts, and this can help keep them at bay. Once you understand this, you can see how it all comes together. At the end of the day, you have to work together with them or else face the consequences.